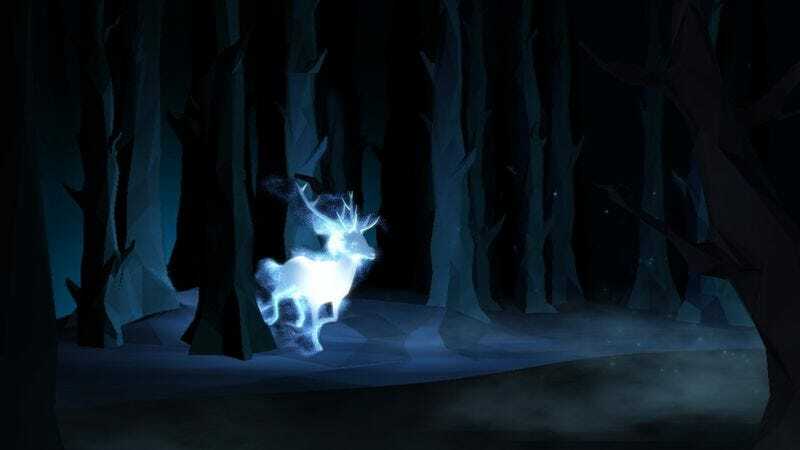 In order to further convince you that our world is just an illusion and Harry Potter’s is the true reality, Pottermore has launched a tool that will help non-wizards and witches learn what their Patronuses are. A Patronus, you might recall, wards off Dementors and comes in the shape of an animal. In the books, mastering the charm requires a lot of patience. On the internet, it simply involves responding to a few prompts. Still, the experience is pretty snazzy and includes winding through an animated forest. J.K. Rowling has already announced on Twitter that her Patronus is a heron. Various dog breeds are also on the table as potential Patronuses. At least one person—(who are we kidding, it was this writer)—got a beagle. Worth noting: Harambe is not an option, despite the fact that Rowling retweeted a joke implying that the late gorilla was indeed one.